Add water and increase heat to bring water to boil. Add the lentils and reduce the heat to medium low. 1. Heat the oil or butter on medium temperature in medium sized saucepan. 2. Add the minced onions and garlic (and achiote if making arroz amarillo or yellow rice), cook until the onions are translucent or soft, about 2 minutes. 3. Add the rice and stir it in so that it is well coated by the oil, add the water and bring it to a boil. 4. Let the water reduce until it barely covers the rice, cover with a lid, reduce the temperature to low, and cook for about 20-25 min. 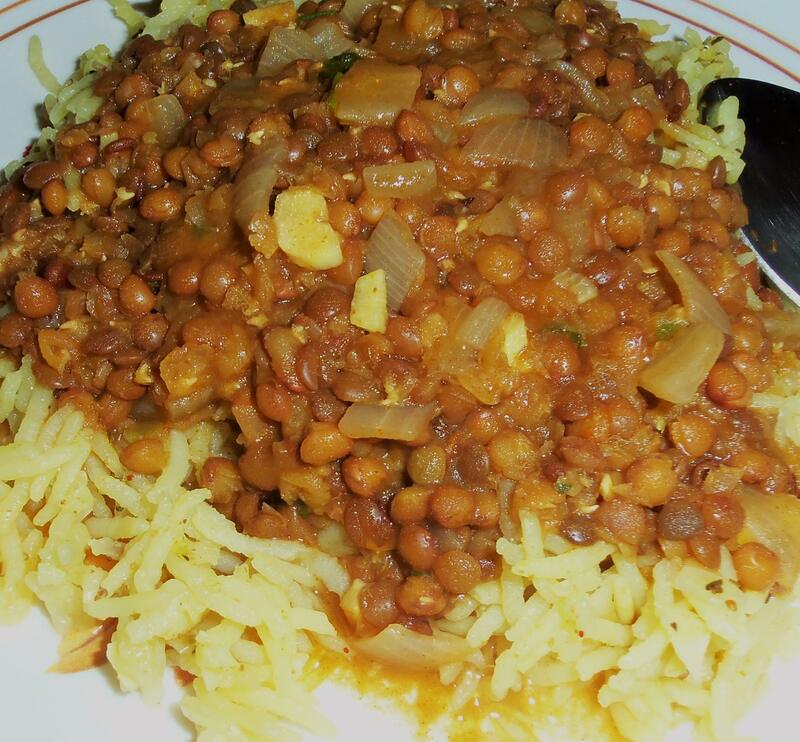 This entry was posted in Everything Vegetarian, Gluten Free, Healthy Options, Ideas for meals, Low Cost, Vegan and tagged lentils, rice, Vegan, vegetarian. Bookmark the permalink. Willi. Give it a try. Looks healthy Nutrious n filling Tanx! 4 a lovey dish! Made this recipe to rave reviews and have passed it along. Now a part of regular recipes. Thank you!